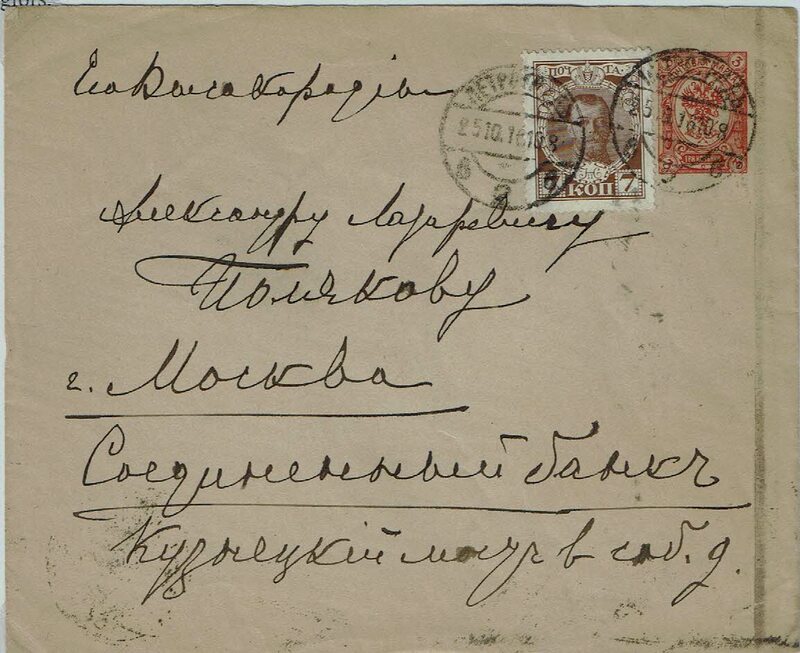 Yesterday, I viewed hundreds of Russian covers – mostly Imperial – grouped into about 30 Lots in an English auction. 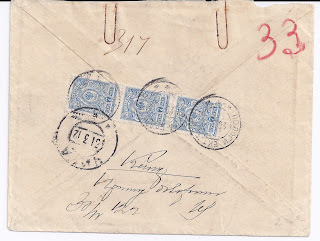 I didn’t have a lot of time and so I had to make quick assessments and valuations. 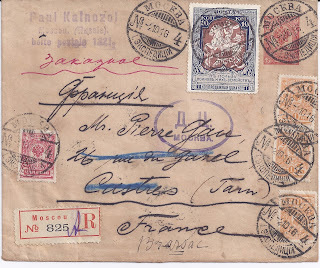 The material was in very “Mixed Condition” and I knew I would not see every missing stamp or cut down envelope as I worked through the material. Equally, I thought I would notice the important items. 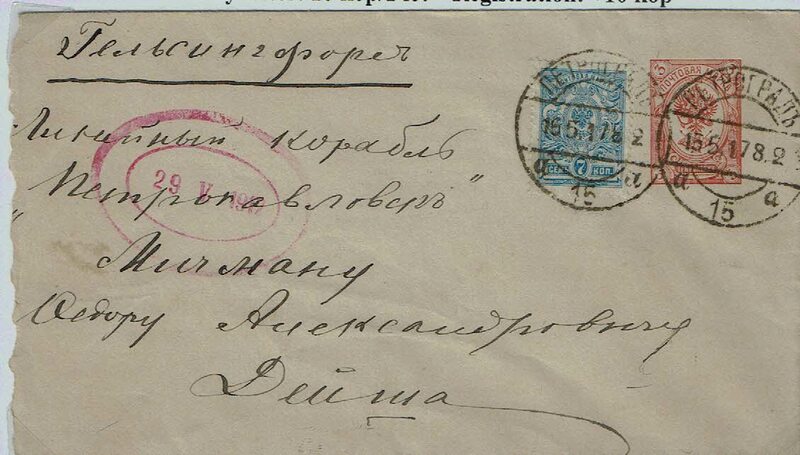 This is such a “busy” cover that it is easy to miss the most important thing: top right corner. 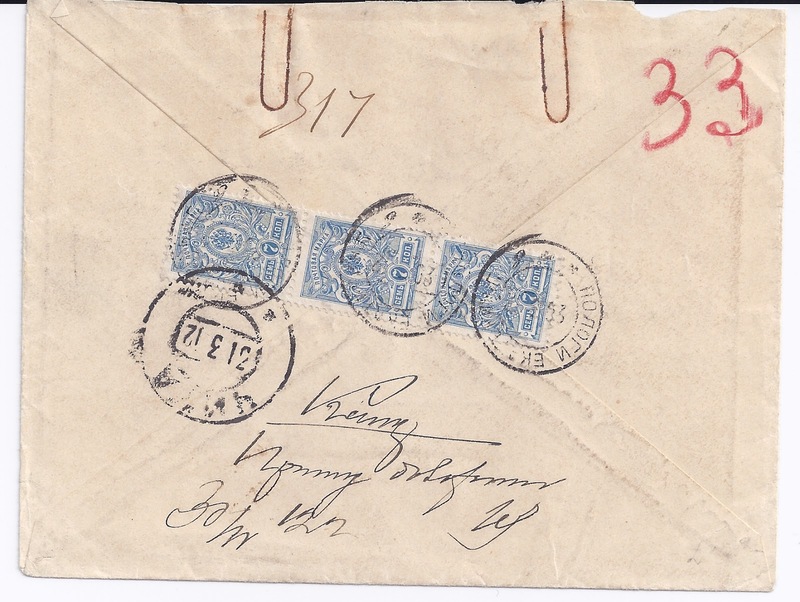 This is a stationery envelope for 3 kopecks. Wait a moment: When did I ever see a stationery envelope for 3 kopecks? 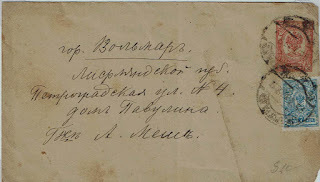 I could not remember any … so I looked in Ilyushin and Forofontov’s 2004 Moscow – published book on Imperial Russian Stationery 1845 – 1917. 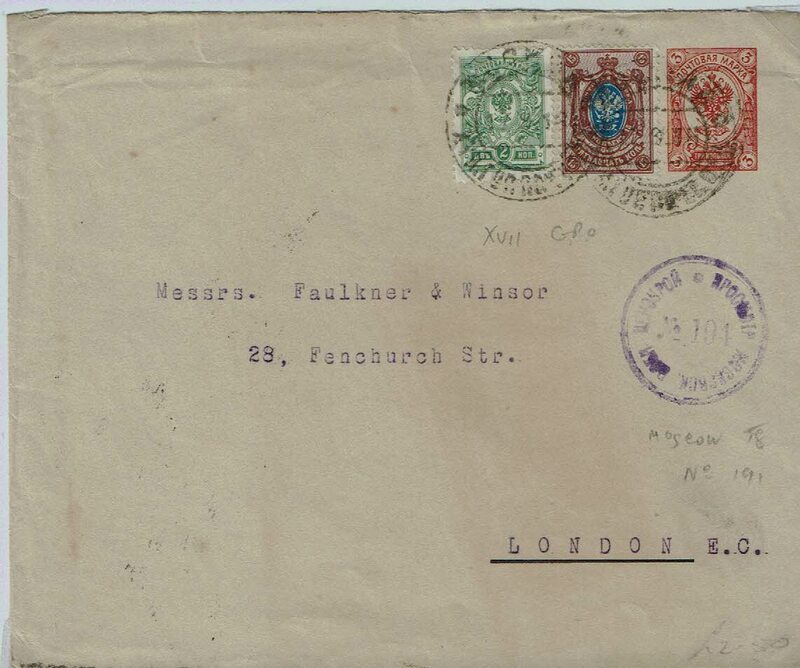 Yes, this envelope exists , it dates from 1909 in two formats (this one the larger), and it’s # 51 in their catalogue with a valuation of “50” in used condition, which is really nothing in their scale of valuations. 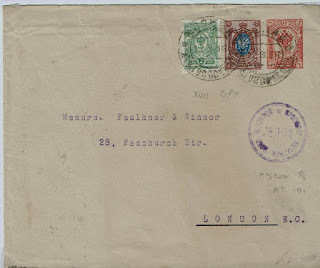 So I wonder now why I have never seen this envelope before .. perhaps I just did not notice it! At 3 kopecks, it would have been used for mailings benefitting from concessionary tariffs - printed matter or samples without value, for example. 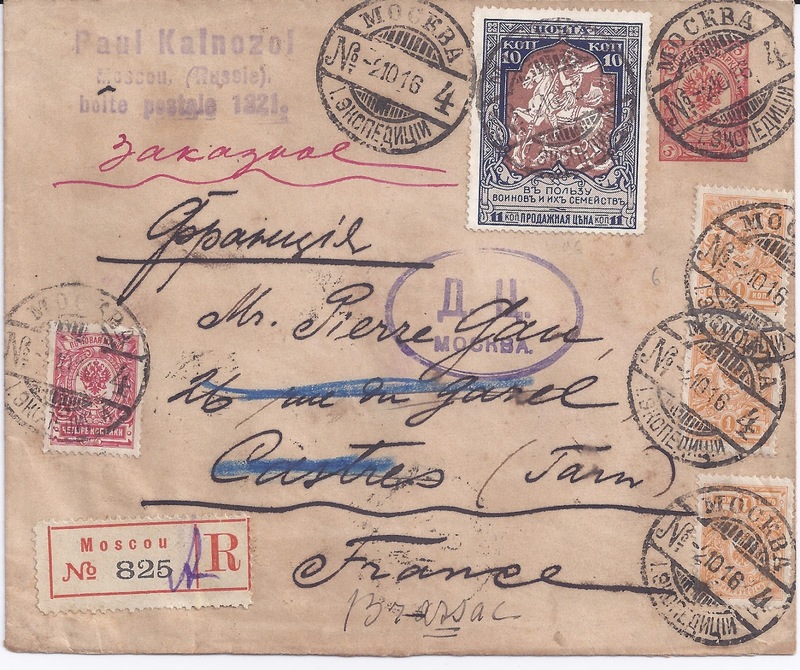 This is a registered cover from January 1919 franked at the newly-introduced rate of 50 kopecks in the tariff of 1 January 1919 which made the sending of ordinary letters and cards Free. 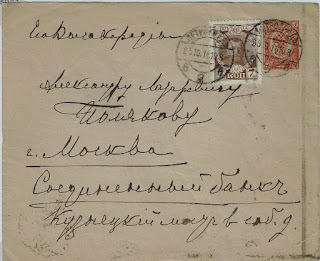 The 35 kopeck Kerensky stamp was widely distributed in Bolshevik Russia at the end of 1918 – it is usually said that it was issued to mark the 1st Anniversary of the October ( subsequently November) Revolution. 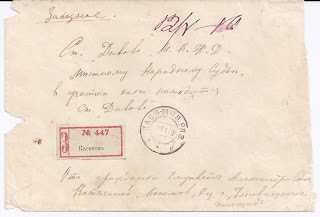 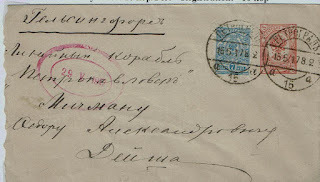 But it's very scarce on non-philatelic cover like this, addressed from Kasimov in Ryazan guberniya to a People’s Court at Divovo in the same guberniya. 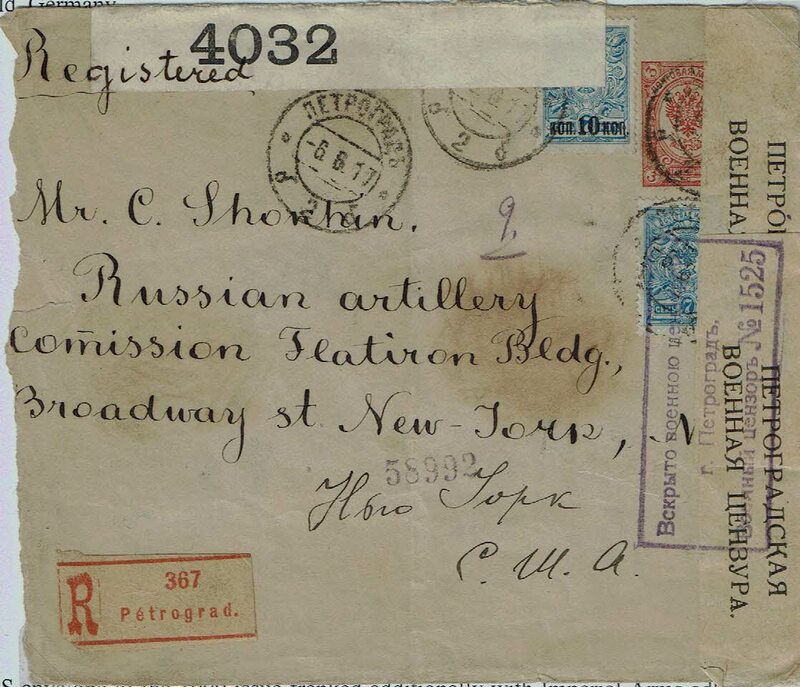 Added 8 December 2015: Alexander Epstein sends me these examples of the 3 kopeck stationery envelope. 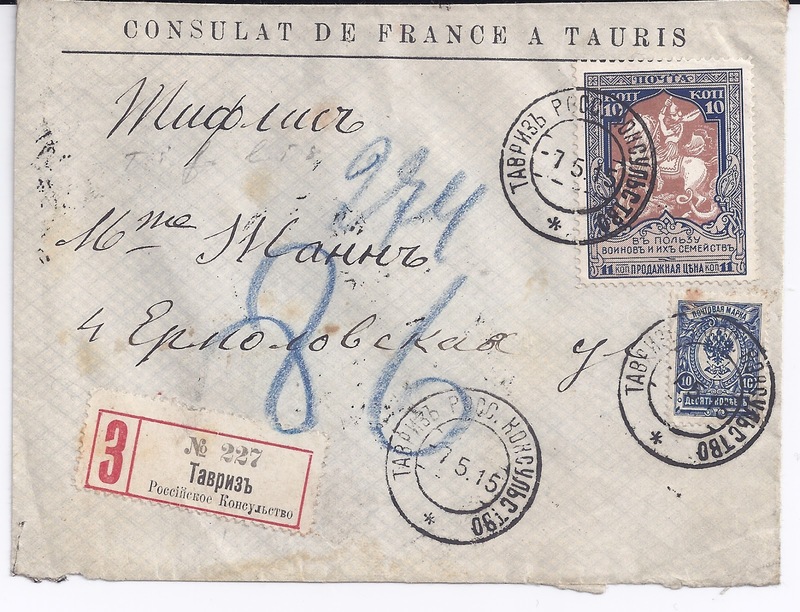 Note that they are all with added stamps and none of them dated anywhere near Ilyushin and Forofontov's 1909 date. 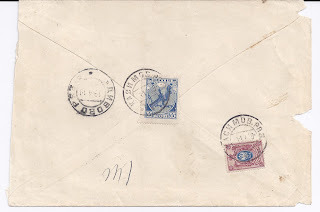 Maybe the issue of these envelopes was delayed?